Let’s talk about software and leave our past behind. 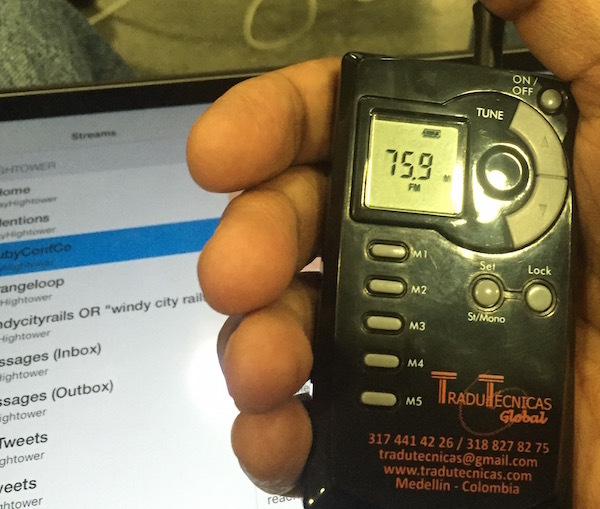 Juan Pablo Buritica and his team from Ride organized RubyConf Colombia in Medellín this month. The organizers ran JSConf Colombia concurrently with the Ruby conference. What a feat of logistical legerdemain! Yes, the technical presentations were powerful. Even more inspiring: RubyConf Colombia is a technical conference with a mission to change the reputation of Colombia. Juan Pablo confronted the problem directly in his opening remarks at the conference. He acknowledged that Colombia has a troubled past, and some people would like to permanently tie Colombia to that past. But the past is not the future. People in Juan Pablo’s generation are aggressively improving things for themselves and for future Colombians. RubyConf Colombia is one example of their work. So the organizers invited technology speakers from around the world to participate. They attended to every detail. They even arranged simultaneous translations (Spanish-to-English and English-to-Spanish) for the presentations. Some of the organizers, bi-lingual acrobats that they are, served as translators themselves. You could recognize their voices over the headphones… pretty cool! RubyConf Colombia was my first visit to South America, and my longest visit to a predominantly Spanish-speaking region. So it was important to get out and see some of the surrounding area, not just bury my head in my laptop. A small group of us visited the Parque Arvi Nature Reserve just outside of Medellín. Getting to the park required a journey by cable car. 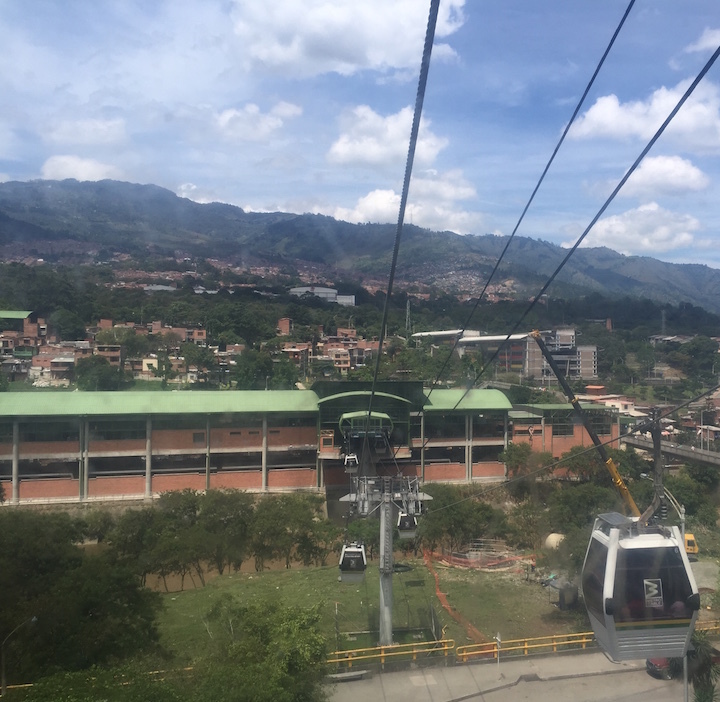 The cable cars travel above mountainside neighborhoods and wide stretches forest. The views are beautiful. Even with my long list of allergies, I was able to find great food in Medellín. 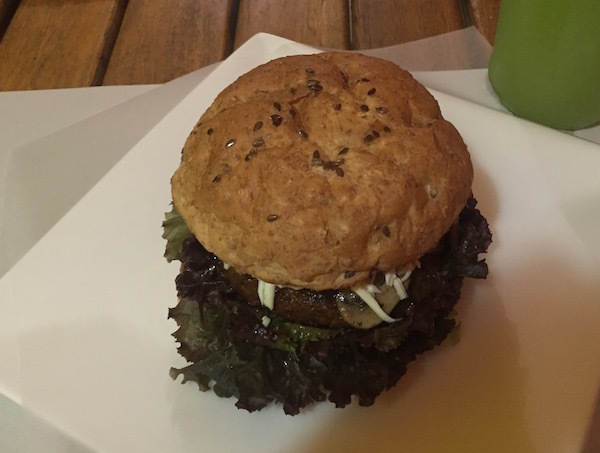 For example, the best vegetarian burger ever conceived by humans was served to me at Veg Station on Calle 10. The photo does not do this meal justice! Congrats to the RubyConf Colombia organizers for launching a successful event. I look forward to the success of your mission!